Bored with straight lines and yearn for curves? 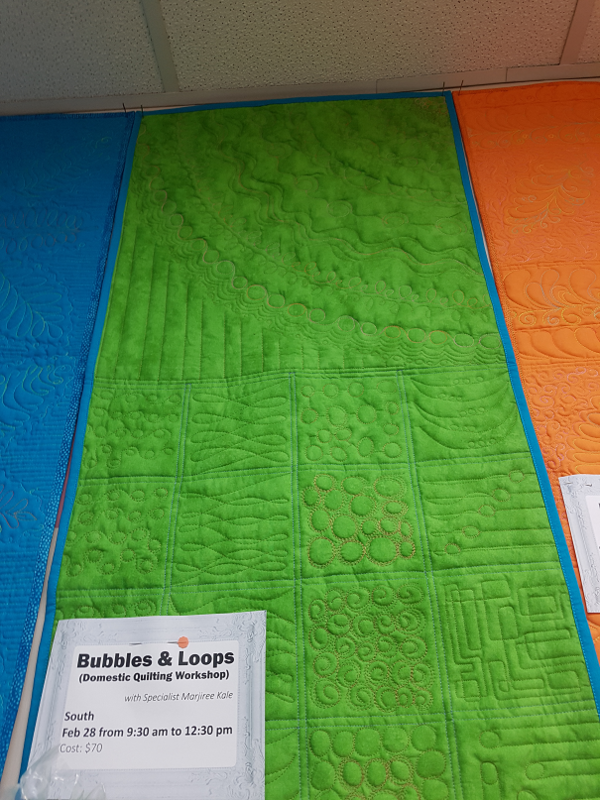 Learn how to stitch in any direction and explore your free motion quilting creativity with quilting expert Marjiree as your guide! Say hello to circles, pebbles, rocks, sand, string of pearls, ovals and loopy combos. Add texture or whimsy to modern and traditional quilts. Have fun practicing in class! Your sewing machine must have free motion capabilities.